Are podcasts the new TV? These days it seems like everyone we talk to has a favorite podcast or a handful of podcasts on heavy rotation. Podcasts are booming. You can find episodes on personal finance, classic films and even how harbors and ports work. Do podcasts make money? Can you make a decent living as a podcaster and still have enough to save for retirement? Let’s get into it. 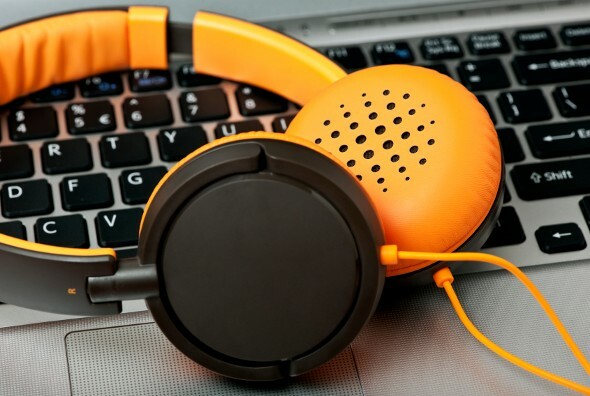 Podcasts are recorded programs that listeners can stream or download. Loyal listeners can also subscribe to podcasts, automatically downloading each new episode. Public radio networks played a key role in the development of the podcast, as did the iPod and iTunes. In fact, the word “podcast” is a combination of “iPod” and “broadcast.” These days, podcasts can be simple operations produced in someone’s garage, affiliates of multi-podcast networks or backed by public radio stations. Between 2006 and 2015, awareness of podcasts grew from 22% to 49%, according to Nielsen research. Libsyn, the world’s largest podcast network, reported 2.6 billion downloads of its podcasts in 2014, of which 63% were on mobile devices. As Americans commute, work out, do chores and travel we have a growing number of podcasts to accompany to us. As of 2015, one third of Americans have listened to a podcast, according to Edison Research. 17% of Americans age 12 or older say they’ve listened to a podcast in the last month. That’s up 2% from 2014. That may sound like modest growth, but producers are feeling bullish. 2015 saw the launch of three new public radio podcast networks (Radiotopia, SoundWorks and Infinite Guests). 10. Wait Wait… Don’t Tell Me! Podcast listeners tend to be young, educated males. According to podcast network Midroll, which hosts over 200 podcasts including WTF with Marc Maron (the one President Obama was on), 67% of its listeners belong to advertisers’ favorite demographic, 18-34-year-olds. 20% of Midroll podcast listeners have household incomes of $100,000, while 62% of podcast listeners have incomes of $50,000 or more. 58% of listeners have a BA. Sounds like an advertiser’s dream, right? The site also says that “63% of Midroll podcast listeners say that they bought something after hearing an ad on our shows.” That figure is meant to tempt potential advertisers. At the same time, however, it reveals one of the problems inherent in monetizing podcasts: there’s a difference between downloading and listening. Because podcasts can be downloaded and never listened to, it can be tough to sell advertisers on download stats alone. If podcasts are gathering dust on iPhones and laptops, ads aren’t being listened to. This is an especially big problem for podcasts that never play on public radio so don’t have a built-in way to reach listeners. Still, podcast advertising has some advantages over other forms of digital advertising. When you listen to a podcast, the host or hosts generally read out the advertisements. Often, hosts add their own take on why a product is useful or worth looking into. It could even be something like, “I never buy video games but I love this video game,” which is essentially what Marc Maron famously said during a pre-podcast ad. There are no annoying pop-ups, auto-playing videos or intrusive ad breaks that are loud and out of sync with the tone of the program. Even if the host just reads the 15-30 seconds of ad copy without adding commentary, it can seem to listeners that the host of a beloved podcast is endorsing what’s being advertised. There’s no easy way to skip the ads in a podcast without fast-forwarding and trying to find the exact starting point of the meat of the program. Some podcasts re-start if you try to skip the beginning (when the ad is read). Ad-blockers won’t screen the advertising at the beginning, middle or end of a podcast. So how much are those ads worth? According to a New York article on the rise of podcasting, “Several top podcasters told me that their CPM (the cost to an advertiser per thousand impressions, a standard ad-industry unit) was between $20 and $45.” That CPM beats radio, TV ads and web ads because the audience for podcasts is so desirable for advertisers, and because podcast ads carry explicit or implicit host endorsement. Podcast CPMs can go as high as $100, as is reportedly the case for the podcast StartUp. Another form of podcast advertising is promo codes. Many podcast ads take the form of promotional codes that listeners can redeem for a discount or free trial. For example, classic film podcast You Must Remember This offered a promo code for a one-month free trial of Mubi, an art-film streaming service. This American Life did the same with Audible. With the promo code approach to monetization, podcasts can charge for sales (also known as conversion). An advertiser might pay a certain amount for every listener who goes the advertiser’s site and uses the promo code to get a discount or free trial. Advertising isn’t the only way to make money from podcasting. Audience members have proven that they’re willing to donate to their favorite podcasts and podcast networks. Podcast network Maximum Fun sells monthly memberships at the $5, $10, $20, $35, $100 and $200 levels. You can also donate at any time, or during what the network calls the MaxFunDrive, a public radio-style fundraising drive. In 2015, the MaxFunDrive had a goal of adding 6,000 members. It added over 5,700. Maximum Fun says it would prefer to rely on listener support rather than make deals with advertisers it doesn’t like or approve of. According to the network, “About 75% of our revenue comes from listeners directly supporting the show.” Those listener donations get divided equally among the podcasts in the network: “About 25% of your monthly donation goes to run the network – that’s rent, staff, and the costs of the pledge drive. About 75% is divided evenly between the shows you listen to. You are directly supporting the shows and their creators.” Monthly donors have access to bonus content that isn’t available to non-members. There’s a reason that podcast networks have followed in the footsteps of public radio by soliciting memberships as opposed to one-time donations. It makes it easier to sell ads, and it provides a steady source of income that makes it easier to budget programming expenses. Plus, it cuts back on the cost of outreach to potential donors. Kickstarter and other crowdfunding sites are a valuable money-making tool for podcasters. In 2014, the Radiotopia podcasting network raised $600,000 on Kickstarter, far surpassing its $250,000 goal. Finally, podcasts can make money by selling tickets to live tapings and events. These live events essentially allow a podcast to monetize the same episode twice – once by selling tickets to the taping of the episode and again by selling ads during the episode. Whether they make the bulk of their money from listeners or advertisers, podcasters have to cover their costs. Podcaster Ann Friedman wrote that she spends relatively little on production. Friedman wrote that she downloaded podcasting software for $49 and bought a microphone for $119. But production costs can easily soar when you add in the costs of equipment, bandwidth and staff time. In 2013, Gregory Young, of The Bowery Boys told the Wall Street Journal that “his costs run from $1,500 to $2,000 for a computer, an additional $1,000 for a mixing board and miscellaneous equipment, $200 per microphone and $20 a month for his hosting service.” Then, he has to court advertisers to defray those costs. The cost of securing bandwidth and advertisers can be eased by joining with other podcasters. If a podcaster decides to join an established network, there are generally different pricing plans. For example, Libsyn offers plans that vary in cost from $5 per month to $75 per month, with an optional $10 add-on for a custom mobile app. The $5 option comes with 50mb of monthly storage, which jumps to 1500mb for the $75 plan. Check out our video chat with podcaster Vernon Ross. Unless you were living under a rock you probably heard about the hit podcast Serial. Millions of listeners downloaded episodes from iTunes and for a while it seemed like everyone was talking about the true-crime podcast. It was the fastest podcast to ever reach 5 million downloads. Serial launched with corporate sponsorship from MailChimp but ended up having to raid the coffers of the twenty-year-old podcast favorite This American Life to cover some of its costs. As the podcast closed, host Sarah Koenig appealed to her audience for donations to fund a second season of the sleeper hit. Some questioned Koenig’s call for donations, speculating that the advertising CPM for the viral hit show’s 40+ million downloads should have been enough to fund the podcast. But between covering the equipment and bandwidth budget and paying the salaries of Koenig and the four other staff members, Serial had some serious operating costs, which Koenig said were not covered by advertising revenue. Want to make Serial-level money? According to CNN, each episode of Serial had been downloaded an average of 3.4 million times as of December 22, 2014. Divide that by 1,000 because CPM is cost per thousand. That gets you 3,400. If you charge a CPM of $45, that gets you to $153,000 per episode. Multiply it by 12 episodes and you get $1,836,000. Not bad! The lower your costs, the more of that money you get to keep. The trick is that you need to spend enough to make a quality podcast that will get millions of downloads. The biggest critique of the podcasting landscape is that there isn’t enough diversity among podcasters. Famous exceptions include podcasts The Read, Another Round and Friends Like Us, among others. Typically, though, the image of a podcaster is of a white male. Perhaps the most famous podcaster is Ira Glass, whose iconic voice – and glasses – are part of what has made This American Life such a success. This seems to be changing, however. Hillary Clinton made a splash when she appeared on the Buzzfeed podcast Another Round hosted by two African-American women, Heben Nigatu and Tracy Clayton. 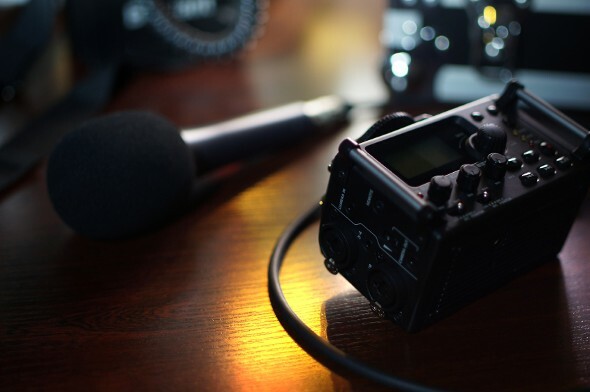 An article in the Columbia Journalism Review suggested that adding to its podcast repertoire was key to bringing some much-needed youth and diversity to the image of National Public Radio – and expanding the audience for public radio. And there’s a bonus: The public radio network doubled its podcasting revenue in 2014 and is expected to do so again by the end of 2015. In 2014, podcasting legend Ira Glass sat down with Alec Baldwin to appear on Baldwin’s podcast Here’s the Thing. Glass, who famously took more than one pay cut from his podcasting salary, told Baldwin that he doesn’t support himself entirely from his This American Life paycheck. He supplements his podcasting earnings with speaking appearances and more. Which just goes to show you that the committed journalists, comedians, personal finance experts and others who are leading the podcasting boom aren’t necessarily just in it for the money. Update: Have financial questions beyond the economics of podcasting? SmartAsset can help. So many people reached out to us looking for tax and long-term financial planning help, we started our own matching service to help you find a financial advisor. The SmartAdvisor matching tool can help you find a person to work with to meet your needs. First you’ll answer a series of questions about your situation and goals. Then the program will narrow down your options from thousands of advisors to three fiduciaries who suit your needs. You can then read their profiles to learn more about them, interview them on the phone or in person and choose who to work with in the future. This allows you to find a good fit while the program does much of the hard work for you.